There is a hierarchy of safety regulations to be followed while manufacturing the safest car seat. All car seat safety regulations in Europe have to comply with minimum performance requirements, which are defined by the ECE R44. This might be a little confusing so let’s break down the basics in easily understandable terms. - There are a number of standards that have to be followed in the car seat industry. 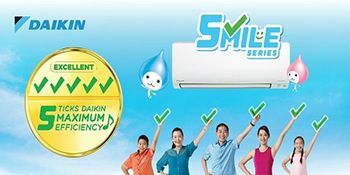 - The minimum regulation in general is the ECE R44. This regulation encompasses the frontal test and the weight limits for different stages of a child’s age (i.e. when the child needs to switch to a bigger car seat). - The i-Size regulation (formally known as the ECE R129) was introduced in 2013, and is way more nuanced, stringent and safe as compared to the regular ECE R44. - The i-Size regulation includes frontal and side Crash Tests, which provide more stringent safety measures for the ideal car seat. Unlike the ECC R44, the i-Size regulation also invests in side crash tests and height limitations. - This regulation defines a height and weight limit for the child during various stages of growing up. This is because children grow faster these days and if the upgrade is only based on a weight limit, it would not be accurate. 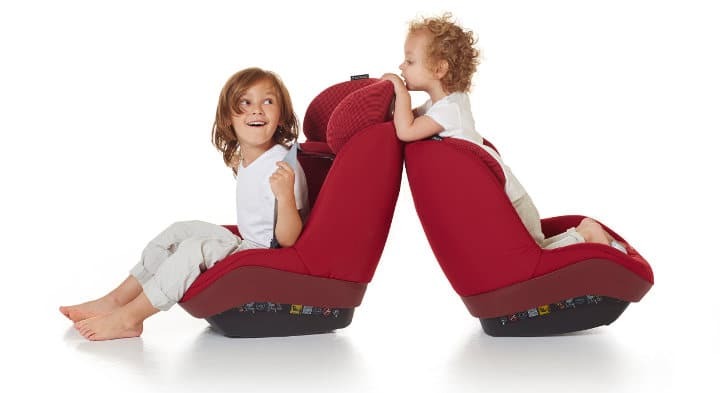 - Most car seat brands in Singapore only comply with the ECE R44 standard, but the Maxi-Cosi brands takes it up a notch by complying with the NCAP safety regulation, which regulates the front, side, side/frontal and an additional roll over tests for maximum protection of the child. 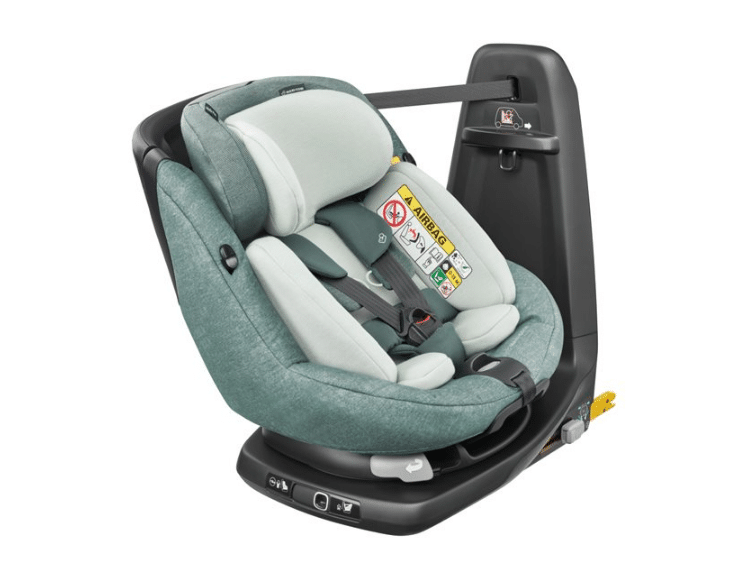 - The best safety performance that complies with all of the i-Size car seat regulations. - The ISOFIX system that enables the simplest and easiest car seat installation. - A rear face installation for better safety of your child. 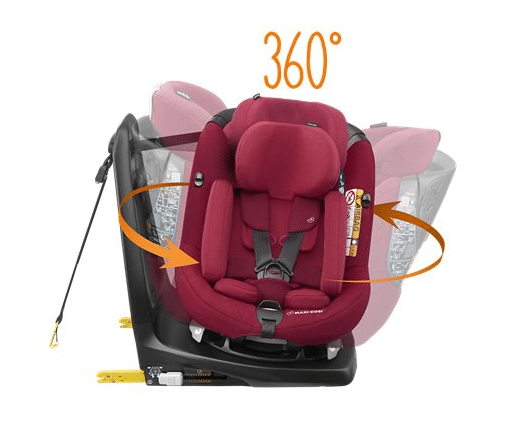 - A 360’ swiveling seat that makes installing your baby in the car the easiest task. - A cozy inlay that makes traveling a comfortable experience for your child. - A wide collection of colors that make this car seat a fashionable experience for the parents as well. - A number of optional accessories – including sun canopy, cup holders, back seat mirrors and protectors – to travel fully prepared. - Compliance with the i-Size safety regulations including safety harnesses. - A dual rear and forward facing, ISOFIX approved car seat installation that will make traveling with your kids a safer experience. - A long life car seat that grows along with your child from birth till they’re toddlers. - A click and go installation that will be easy to take in and out. - Comfortable travels ensured by recline positions that change from sitting to sleeping. - It also provides installation feedback to confirm the right fit while installing in the car. - Additional optional accessories including Footmuff baby car seats, cup holders and summer covers. - Compliance with the latest i-Size safety standards. - A baby Hugg inlay for better comfort made of impact absorbing materials. - A flexible travel system that could be installed in a stroller as well. - This car seat is a part of the 2Way car seat family. - A number of stylish colour choices. - A click-and-go installation system. - Additional optional accessories that include raincovers, summer covers and a Footmuff seat cover.